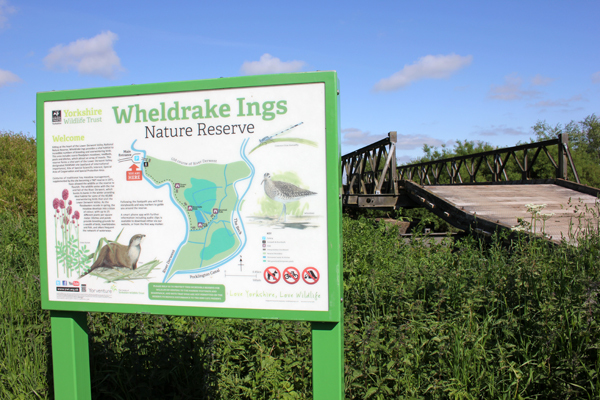 Today’s coach trip was to a new location for the MNA – the Yorkshire Wildlife Trust Reserve Wheldrake Ings and adjacent Natural England Reserve Bank Island in the heart of the Lower Derwent Valley. 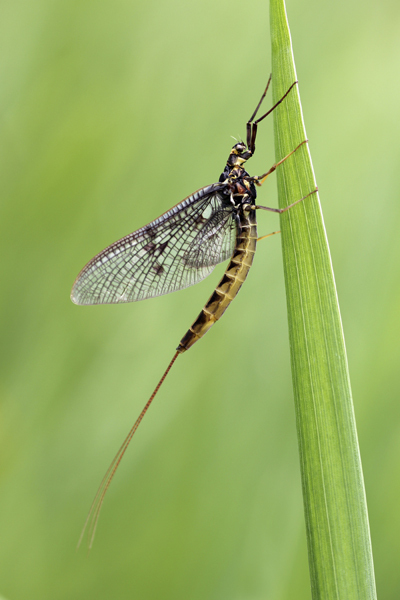 These 390 acres of flood meadow bordering the banks of the River Derwent have been traditionally managed for Centuries; it is a Wetland of International Significance, a National Nature Reserve and a Site of Special Scientific Interest. Garden Warbler and Blackcap heralded our arrival allowing for song comparison for the beginners in the group. 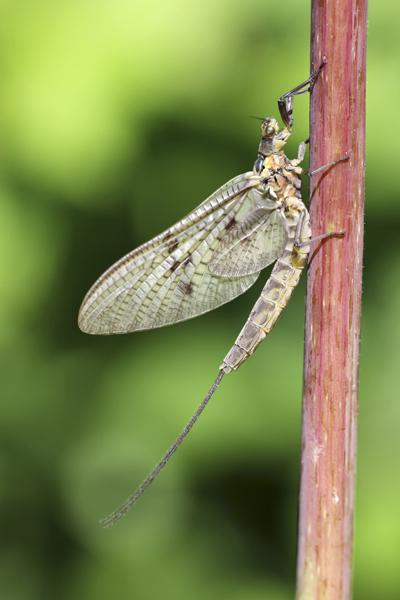 A huge Mayfly emergence had occurred and swarms of male were dancing around in the air hoping to attract a female. 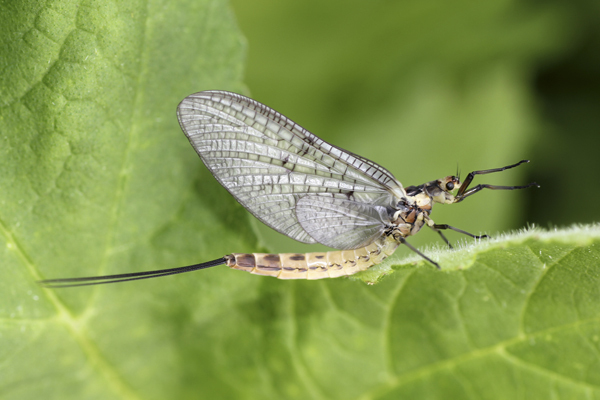 At least two species were noted: Dark Mayfly Ephemera vulgata – the spotted wings and the dark triangles on the upper abdomen are characteristic of this species of mayfly; Green Drake Ephemera danica – whose body is creamy yellow with distinctive brown markings on the segments. 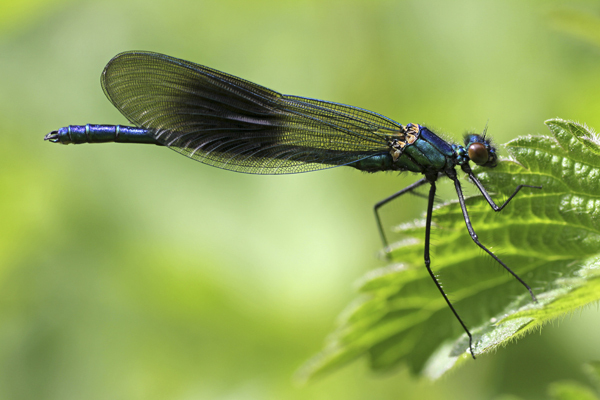 Mayflies were one of the many highlights of the day – another was the Banded Demoiselles Calopteryx splendens the metallic blue males numbering at least twenty with around six of the metallic green females seen. 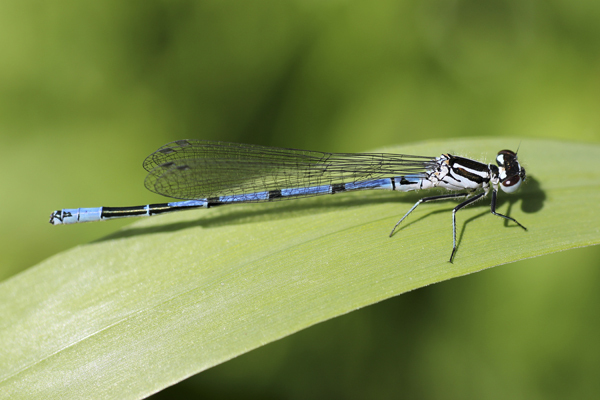 Other Odonata included a male Azure Damselfly Coenagrion puella posed on a blade of grass – they are distinguished from the male Common Blue Damselfly Enallagma cyathigerum, that were also seen, by the U-shaped mark on the second abdominal segment separated from the segment’s narrow terminal black band. A few Four-spotted Chaser Libellula quadrimaculata females were noted and also Blue-tailed Damselfly Ischnura elegans and a lone Emerald Damselfly Lestes sponsa. 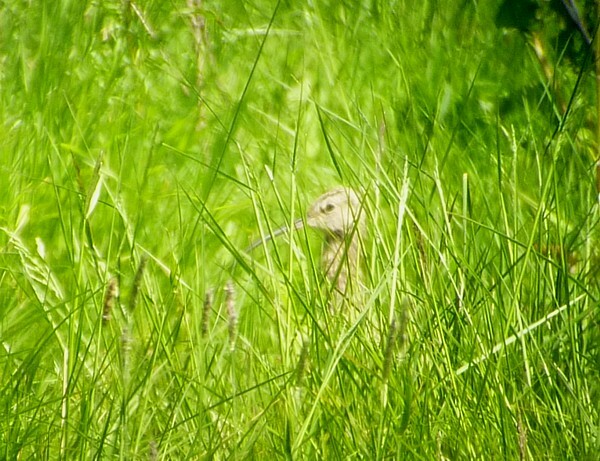 Out on the floodplain meadows I heard a distant Whimbrel utter its distinctive seven whistle call. Curlew were heard calling along with Cuckoo, Skylark and Yellowhammer and Pheasant. The lush waterside vegetation along the path held a few molluscs identified by Chris Butterworth including the Common Amber Snail Succinea putris – which has a thin walled translucent shell often amber coloured and whose spire usually is very small compared to the huge apertural whorl and the Strawberry Snail Trochulus striolatus – which usually has five or six whorls in a flattened cone. Butterflies seen included Large White Pieris brassicae, Orange Tip Anthocharis cardamines, caterpillars of the Small Tortoiseshell Aglais urticae on Nettle leaves, Peacock Inachis io, Comma Polygonia c-album and Wall Lasiommata megera. 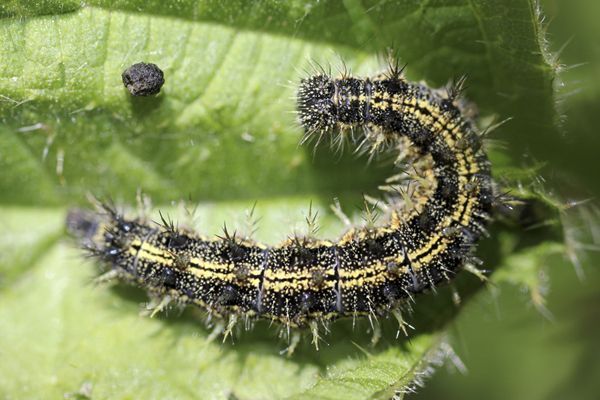 Moths included Nettle-tap Anthophila fabriciana and a Micro-moth Dave Hardy later identified as Glyphipterix thrasonella with its silver and black markings against a bronzy forewing. Its food-plant is the stem of Sharp-flowered Rush Juncus acutiflorus. A pair of 14-spot Ladybird Propylea 14-punctata were seen mating and a 7-spot Ladybird Coccinella 7-punctata was noted Other insects included Dance Fly Empis tessellata, Scorpion Fly Panorpa communis, Snipe Fly Rhagio scolopacea, Muscid Fly Polietes lardarius, Phantom Cranefly Ptychoptera contaminata, Hoverflies: Heliophilus pendulus, Leucozona lucorum, Tapered Drone Fly Eristalis pertinax and a more unusual looking Hoverfly with mottled eyes Eristalinus aeneus. 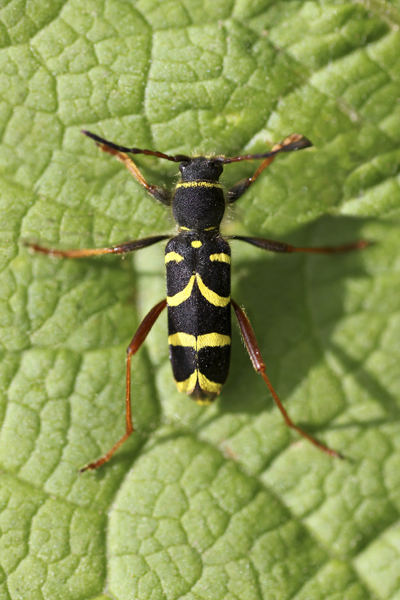 Beetles included a rather nicely marked Wasp Beetle Clytra arietis, Red-headed Cardinal Beetle Pyrochroa serraticornis and a couple of species of Click Beetle: Athous haemorrhoidalis and the Wireworm Click Beetle Agriotes obscures. 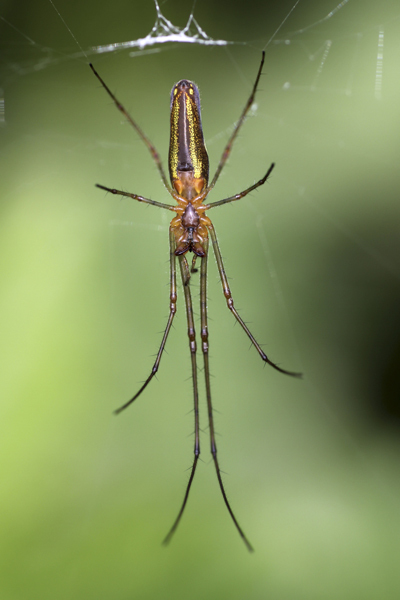 I noted a Cucumber Green Orb Spider Araniella cucurbitina feeding on a Fly – they are 5-8mm long and pale yellowish green in colour with a red mark under the abdomen. A Zebra Spider Salticus scenicus was in one of the hides and a Dark Stretch Spider Tetragnatha nigrita was sprawled out on its web in vegetation. 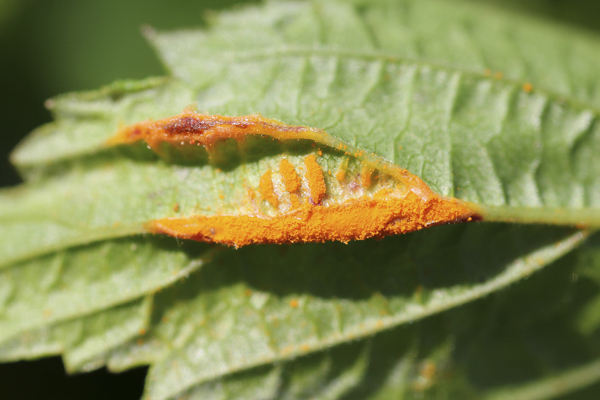 We noted the bright orange Rust Fungus Triphragmium ulmariae which attacks the petioles and / or midribs of Meadowsweet Filipendula ulmaria leaves, causing swelling and distortion. 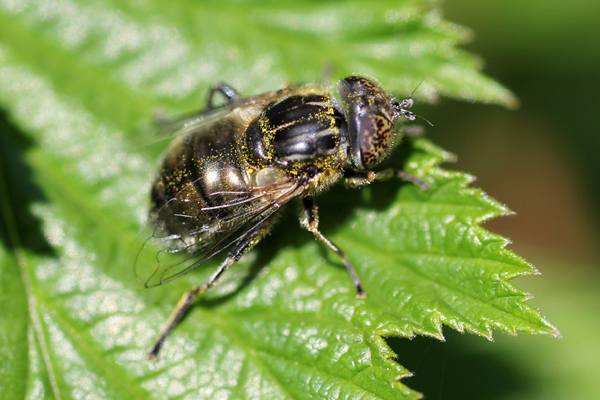 Other Meadowsweet plants had smooth reddish rounded swellings on the upper leaf surface caused by the Gall Midge Dasineura ulmaria. 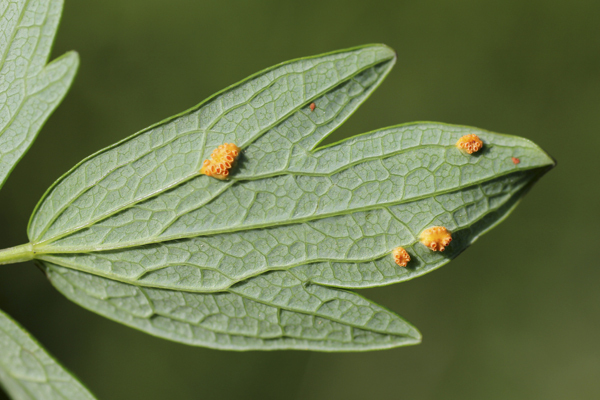 Another species of Rust Fungus Uromyces valerianae was found on Marsh Valerian leaves Valeriana dioica. From the Pool Hide we noted Mallards including a female with 4 ducklings, Coot, Moorhen, a male Shoveler, an unseasonal male Wigeon, Teal, Tufted Duck, pair of Mute Swans with 5 cygnets, Greylags herding a crèche of 4 goslings, Canada Goose, Oystercatcher, Redshank, Lapwings, scores of Swifts plus a few House Martins and Swallows, Sedge Warbler singing its scratchy song from the reedbed and a female Marsh Harrier which glided over. Returning to the coach we caught up with those members who had visited Natural England reserve at Bank Island. 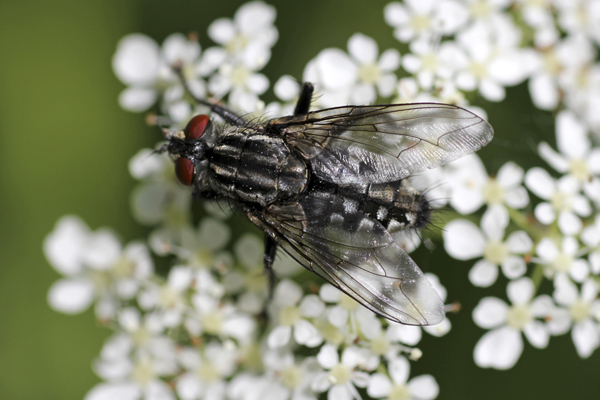 Their sightings included – Brimstone Gonepteryx rhamni, a Brown Hare Lepus europaeus leveret hunkered down on the path, a Whimbrel which was digiscoped by Barbara through Eileen Houghton’s telescope. 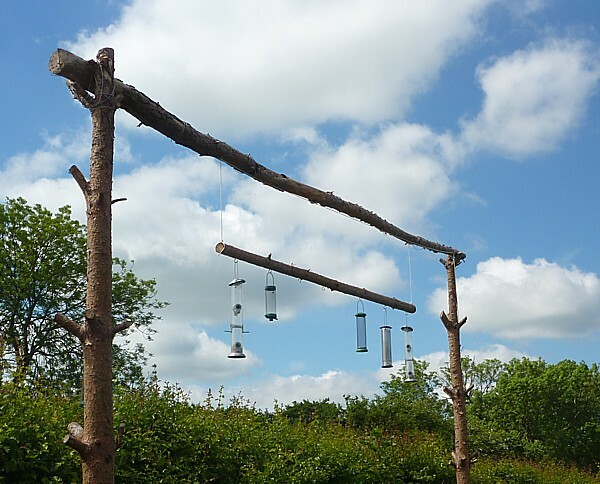 On a less positive note were the empty bird feeders outside the offices of Natural England. “Null points” to Natural England! As a finale Seema Aggarwal had heard a Grasshopper Warbler reeling from scrub close by so a few of us raced along there. Amongst the notes of singing Garden Warblers, Blackcap, Sedge Warbler etc. an occasional reeling was heard by those whose acoustic range are still able to hear the high frequency Gropper song.